Nothing says Father’s Day like a combination of dad’s favorite things, peanut butter and ice cream. With this dynamic duo all mixed harmoniously into the perfect dessert, your entire family will find this irresistible. Not only is it absolutely delicious, but it’s also extremely easy to make. 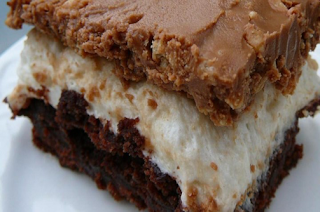 With only a few simple steps, you can whip up this sweet treat! 1. 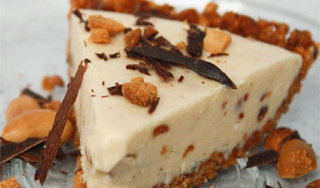 To make the crust, mix together the chopped peanuts, butter and sugar. Press the mixture evenly against the sides of a greased 9-inch pie plate. Finally, cover the pan with plastic wrap and refrigerate the crust for about 15 minutes. 2. Combine the peanut butter and corn syrup in a large mixing bowl. Next, add in the coconut and peanuts as you stir in the ice cream. Remove the crust from the fridge and spoon the mixture into the crust. 3. Finally, cover the dessert with plastic wrap or foil and freeze overnight. Now that you’ve got your dessert made, you can go ahead and decorate it for the occasion. Without having to do anything too fancy, you can sprinkle fun chocolate chips or chocolate flakes to give it that extra ounce of sweetness. 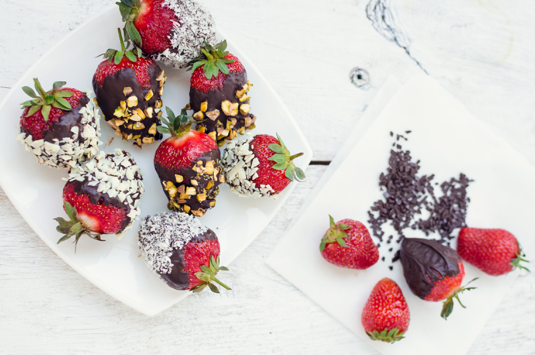 Although these are quite the simple dessert, chocolate-covered strawberries are seen as a luxury treat when it comes to any holiday. Since the original recipe is quite simple, it’s easy to spruce them up for any occasion. With the proper decorations and a clean technique, these strawberries will provide your Father’s Day celebration with a slightly healthier option. After all, it is still considered fruit, right? 1. Rinse strawberries until clean and dry completely with a paper towel. 2. Place chocolate wafers in a saucepan and melt over low heat until completely melted. 3. Remove from heat and dip strawberries into the melted chocolate and place onto a baking sheet lined with parchment paper. Leave until chocolate is completely hardened (or refrigerate). Now that you’ve got the base down, what you do next is up to you! This dessert in particular is great because you can turn a simple chocolate-covered strawberry into a fancy dessert by simply drizzling a different chocolate, adding some lettering, or using some sprinkles. If you really want to go outside the lines, you can even use colored chocolate instead of milk chocolate. The possibilities are endless, and there’s no such thing as too much chocolate! Now that you’ve got a good list of funky treats to give you some inspiration, the reins are in your hands. You can now put your own unique twist on these classic recipes to cater to your father’s likes and dislikes and decorate them to celebrate this grand occasion. Remember, calories don’t count on Father’s Day! If you’re looking for something that is packed with gooey sweetness, then this is the dessert for you. This dessert bar pairs a deep chocolatey flavor with the light taste of marshmallow to bring a combination that’ll get your taste buds dancing. Fathers love this dessert because it’s jam-packed with sweet flavor. We all know dads love anything that’s sweet enough to give them cavities! 1. To prepare, start by preheating the oven to 350 degrees F and greasing a 9x13-inch baking dish. 2. Combine the contents of the brownie package mix with oil, water and eggs and whisk together until smooth. 3. Bake in the oven for about 25-30 minutes (or until an inserted toothpick comes out clean). 4. Evenly sprinkle the marshmallows over the cooked brownie and stick it back in the oven until melted (about 3 minutes). 5. In a small saucepan, combine the chocolate chips, peanut butter and butter and put over low heat. Stir the contents of the saucepan until everything is melted and smooth. 6. Remove the saucepan from heat, then proceed to stir in the cereal mixture. 7. Spread the finished mixture over the cooled brownies and refrigerate until firm. Slice and serve. One thing that you can never go wrong with on Father’s Day is ice cream. Whether it’s the refreshing nature of the cold dessert or just the delectable creamy texture, there’s hardly anyone who can resist this dessert. 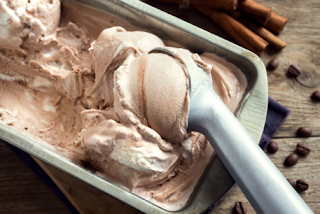 Rather than going with store-bought ice cream, surprise your father with some homemade ice cream, mudslide style! 1. Place the heavy cream in a stand mixer with a whisk attachment. Beat the heavy cream until stiff peaks appear, about 5 minutes. 2. Gently fold the sweetened condensed milk into the heavy cream until fully combined. Then proceed to do the same for the chocolate fudge sauce, Kahlua and Irish cream. 4. Place the mixture into a 9x5-loaf pan and add some chocolate to swirl for decoration. Move the mixture into the freezer for about 5 hours or until it’s the desired consistency. Before you serve it, you can even add some decadent decorations to add to the presentation. Adding cute toppings such as candy pearls or even just a pair of googly eyes can really make the ice cream seem like it’s something special! ite literally pop. Not only are they fun and colorful, but they can also fill up a lot of extra empty space that would otherwise just be a waste. Even if they’re not filled with helium, simply decorating your floor with an array of colorful balloons will add a little something extra to your party décor. Balloons are the perfect addition to any party because they can also be used for props in photo booths and games. Whether they’re being thrown in photos or even just used as a cute background, balloons are inexpensive and fun to set up. No matter what you plan to use them for, you won’t regret adding these fun additions to your party! When it comes to throwing a real party, there’s one thing that can make sure people have the time of their lives. Having the right finger foods and desserts are a sure fire way to make even the most boring party into one that’s bound to be remembered. Not only are they delicious to eat, but finger foods and desserts are also a great way to incorporate even more graduation decorations and emphasize the celebration in a cute and delicious way. Whether you’re looking to decorate small sandwiches or a big cake, you can easy embellish each treat with an adorable graduation topper. These are perfect because they are so simple to use and make the treat so adorable that they’re bound to end up on a million snapchat stories making your party the talk of the town. 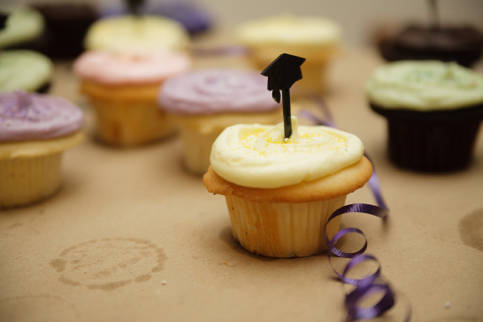 If you’re looking to be a little fancier with your sweet treats, you can even frost your cupcakes, cookies, or cake with graduation decorations of your own. Whether you want to write a nice message or just some decorative patterns, these baked goods are the perfect way to add a little more flare into your party. When making the photo booth, you want to make sure that there is more than just a cute background. Incorporating graduation themes and props into your photo booth is essential to making sure it’s a successful one. Furthermore, placement of the photo booth is just as important as the booth itself. You want to ensure that you have good lighting and no interfering objects that could get in the way of your guests’ perfect picture. With all these in mind, your guests’ are sure to achieve their ideal picture perfect moment! Although mingling and catching up with all of your friends and classmates can be fun for a while, there’s only so much small talk that even the chattiest person can handle. If you want to ensure that your party doesn’t die down too quickly, it’s nice to organize a few party games that your guests can enjoy. Not only will this take away the inevitable awkwardness, but it’s a great way to spend time with everyone and ensure that no one feels left out. Group games are a great way to bond with your guests and create lasting memories that are sure to make your party one that will be remembered. However, one of the key things to organizing party games is to make sure that they are fairly simple while still being loads of fun. We all know how hard it can be to hold the attention of a huge group of people whilst trying to explain a complicated game. For example, twists on childhood games such as apple bobbing or pin the tail can be funny and exciting for your guests. Although you’re celebrating growing up, it doesn’t mean you can’t have fun like a kid! No one likes to leave a party a party empty-handed, even adults. No matter how old your guests are, it’s always nice to leave your guests with a nice little thank you gift for attending your celebration. Although they should be nicely packaged, they don’t have to be anything too extravagant like flat screen TVs and diamond rings. 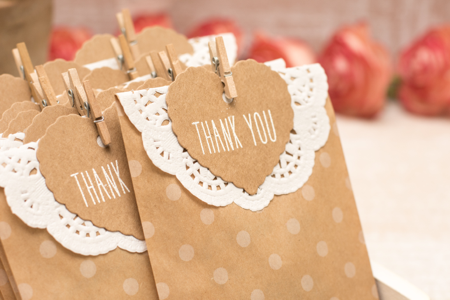 Small gifts such as cake pops, cookies, decorative chocolate, and other graduation themed baked goods can still make the perfect goodie bag. One of the easiest and cutest ideas that we recommend is to make decorative chocolate candy pops! These are not only absolutely delicious, but they can be decorated and molded anyway you want with absolute ease. By simply using premade chocolate molds, you can create intricate designs and finish them off with a simple plastic bag and bow. Now that’s definitely going to end up on Instagram. Whether you’ve been planning parties for years, months, or even a couple hours, there’s no question that graduation parties can provide a whole new set of challenges for even the party planning pros. With a celebration as grand as this one, there’s so much competition to make your party the best. 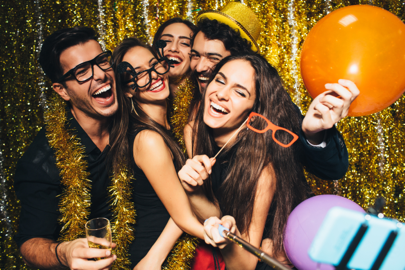 However, even if you’re party can’t provide elephant rides and Ferris wheels, you’re sure to capture the real essence of the celebration with these tips!